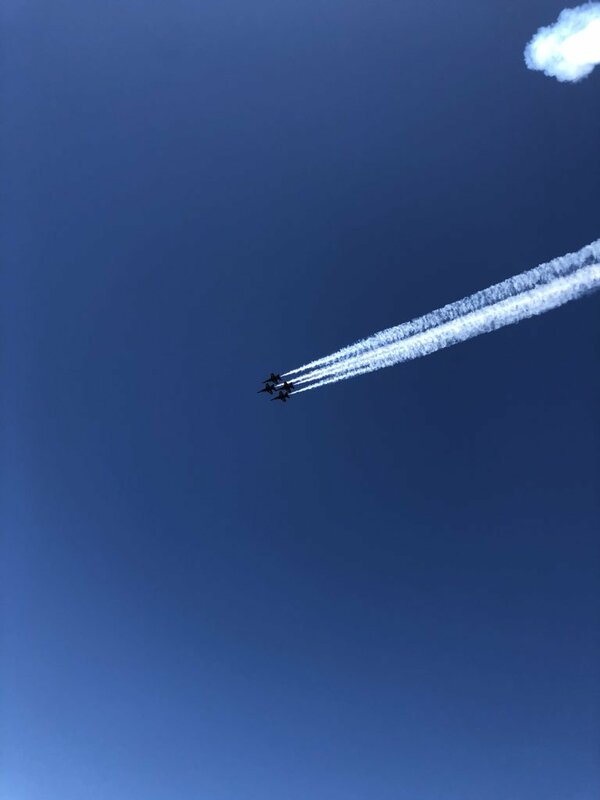 Yesterday, our family went to a Blue Angels air show. This past weekend was the Wings Over Myrtle Beach event. 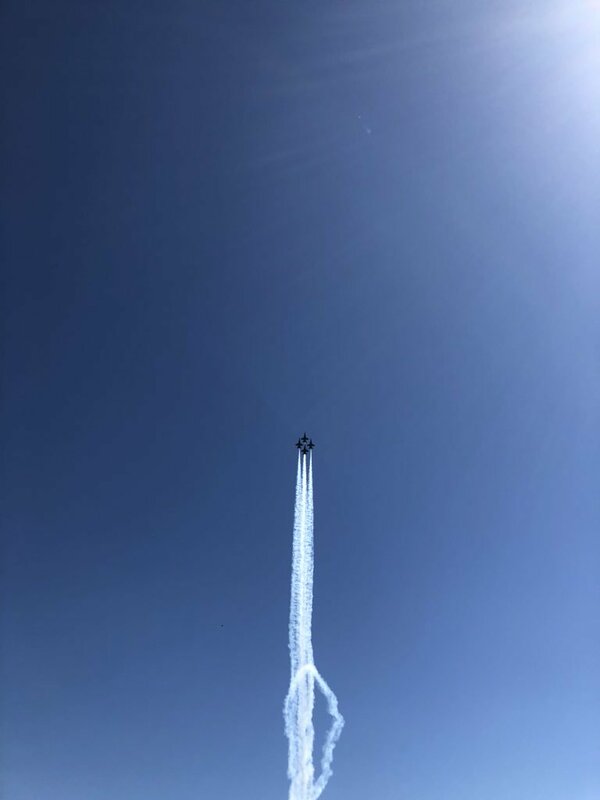 In addition to the Blue Angels headlining the show, numerous other cool planes took to the air to demonstrate precision flying and mind boggling stunts. I had little idea of how big of a deal this was until Saturday. One of our local Myrtle Beach stations, WMBF, broadcasted live from the Myrtle Beach international Airport for EIGHT WHOLE HOURS. If a station was willing to summon its entire fleet of anchors and reporters and have them go live for an entire Saturday, I reasoned, it must be a pretty enormous community event. Upon watching the first half hour of WMBF’s coverage, I no longer had any doubt of the air show’s magnitude. I observed thousands of people, saw backed up shuttles, and could practically feel the enthusiasm through the TV. 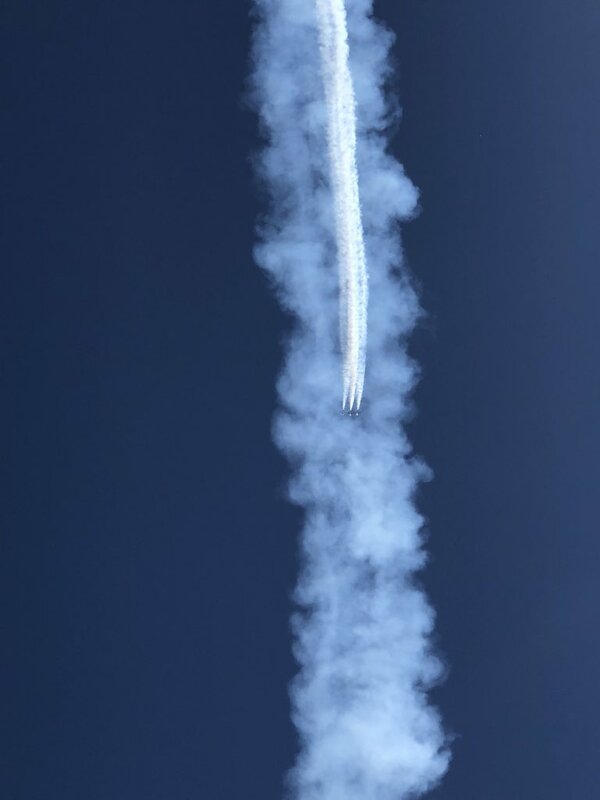 This is a photo I took of the Blue Angels up in the sky on Sunday. However, even though I now understood that Wings Over Myrtle Beach would captivate our community for the entire weekend, I didn’t have an overwhelming desire to be at the airport to watch it in-person. My wife was a different story. Remember how I said that WMBF devoted an entire eight hours of live coverage to Saturday’s show? Sidney watched 7.5 hours of it. Watching the planes drop like rocks in freefalling mode was really cool. This was another photo I took on Sunday. That girl was absolutely swept up by these incredible planes that would own the sky, zooming through it one moment and dancing in it the next. She ate up everything the WMBF expert on the set said (and she retained it all too). She constantly looked up additional information about the planes on her phone. She would look at me and say, “How cool is that? !” She was obsessed. The only 30 minutes she didn’t watch WMBF’s coverage, you ask? It was when she was outside in our front yard watching the conclusion of the Blue Angels via our driveway. Believe it or not, from our house we could see the aircrafts when they reached a certain height. 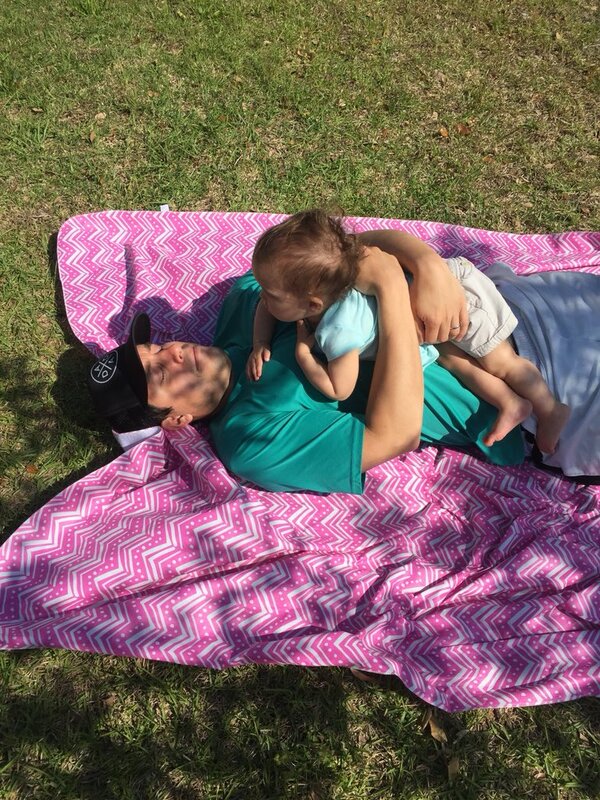 Sloan and I relaxing in our front yard during the Blue Angels show on Saturday. My eyes may have been closed but Sid’s were definitely not. The way Wings Over Myrtle Beach worked was that two shows were performed over the weekend. One on Saturday, one on Sunday – both exactly the same. You bet Sidney wanted to get to the airport to watch that second performance. But when you have a little one who isn’t prone to sitting out in the sun for several hours and who doesn’t necessarily enjoy the sounds of flying machines flirting with the sound barrier, you have to think of an alternative option. Thus, yesterday, we did the best we could to quench Sid’s thirst for daredevil aviation. 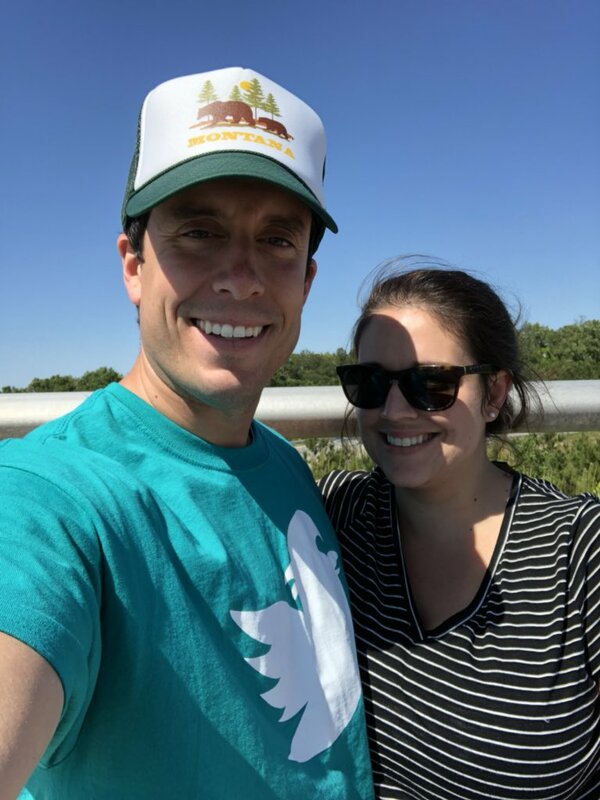 A few minutes prior to the Blue Angels performance, we drove close to the airport and walked to the Highway 17 bridge. 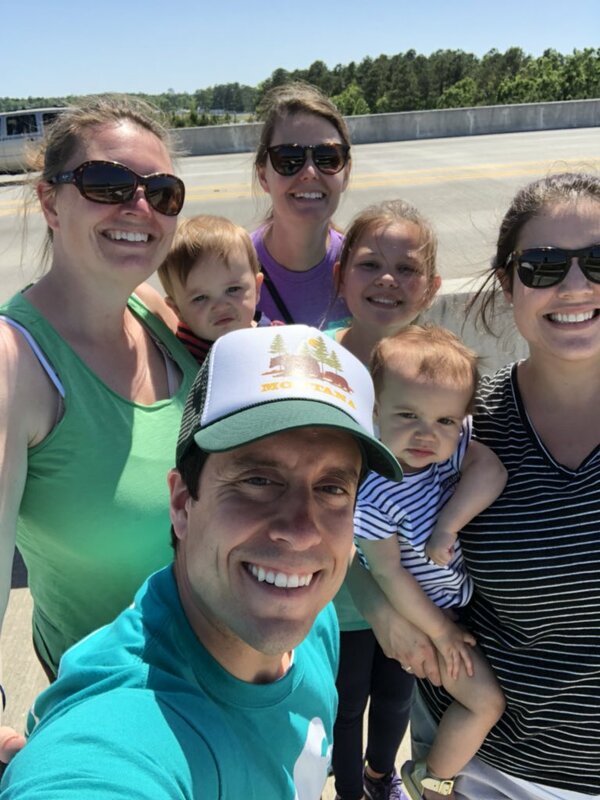 We met Sidney’s sisters along with our niece and nephew who were already on the sidewalk gazing up at the sky. Soon, the Blue Angels took to the sky. Our crew ready to watch the Blue Angels on the bridge. We were at a great vantage point to watch the show. Although we couldn’t hear the choreographed music, listen to the announcer, nor sense the special atmosphere that was generated within the gates of the event, we still got to see some pretty legit flying. The planes rocketed right over us several times, flying in perfect unison just 18 inches apart from each other. They were so close to the ground that we could clearly identify the number that was painted on each of the six planes. A look at where the air field was from where we were standing. Don’t worry, the planes zoomed over right where we were several times. The biggest takeaway for me was the talent of the pilots. They perform incredible feats that depend on precision, teamwork, and guts. I couldn’t even fly a straight line as a passenger in one of those things let alone pilot one or not lose my lunch the second the plane did anything remotely daring. I am pretty sure Sidney had about 15 different takeaways from watching the action. Although we just watched it from the bridge, she was beaming the whole time. She was the guide of our group, explaining to us all what was happening and why things played out the way they did. She was so happy that we went. I enjoyed watching the Blue Angels with Sidney and Sloan. By no means did I become a major Blue Angels fan over the weekend but I did discover what all the buzz and enthusiasm was about. I also got to enjoy something with my wife that she had a genuine passion for and in the end, that was probably the best part. Don’t Blink. 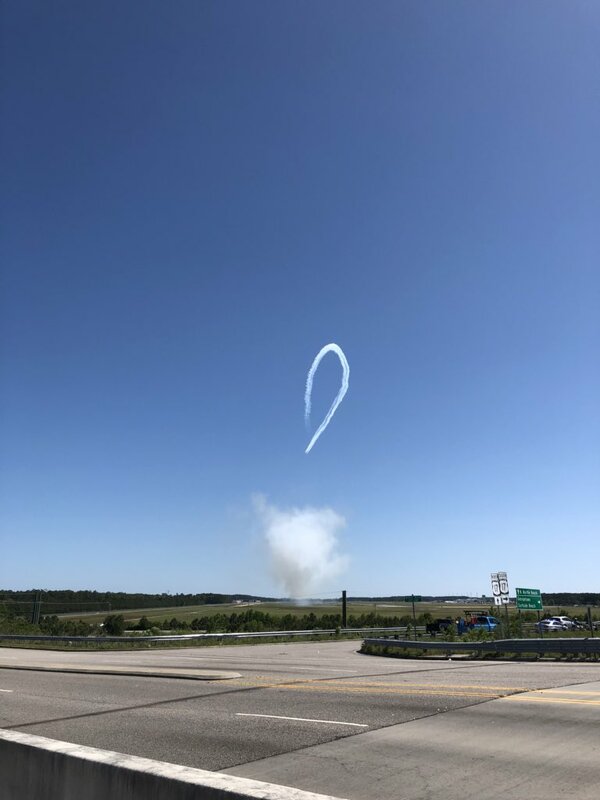 This entry was posted in Uncategorized and tagged Blue Angels, Myrtle Beach International Airport, Wings Over Myrtle Beach by brent. Bookmark the permalink.